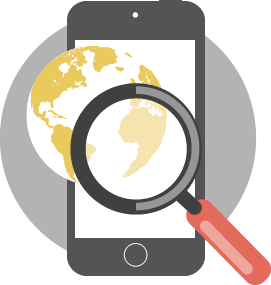 Verify mobile phone numbers and gain access to real-time subscribers’ data globally, including portability identification, current location (in which country are located) and identification data (IMSI), through our high-speed and secure RESTful API or through our web interface. All the information you get is in real-time, providing you with the most up-to-date subscribers’ information, globally. The provided data stay accurate due to constant updates. You not only receive the validity of a mobile number, but to which operator it belongs, even if the number is ported to another operator while keeping the original number. You can be informed of the current country, in which your subscriber is located, avoiding the expense of sending information that maybe irrelevant due to current location. You can combine the service with others, such as authentication and verification, providing you knowledge about the current status of your users and decide the most suitable verification/authentication method. Get all response in any format that suites your needs. Different countries and people are used to reading data in different form, such as number separators. That’s why we customized the service in order to deliver them “localized”. While you request information and receive the “answer”, you can update your database in realtime, keeping the most updated information automatically, with no time wasting. Instant insight on subscribers’ information. Fast queries in real-time, without the need of any application implementation, reducing workload. Mobile Network Portability support that identifies the operator, where the number belongs and ensures correct billing. Lower cost per query, compared to SMS or voice message that will bounce the event of invalid number. Empower verification and authentication services, with subscribers’ identification data (IMSI).